Planning a STEM Lab can be overwhelming. Interior Concepts has over twenty years of experience designing furniture for technology labs and now we are helping schools design their STEM labs. With a little direction you can design your ideal lab for teachers and students. 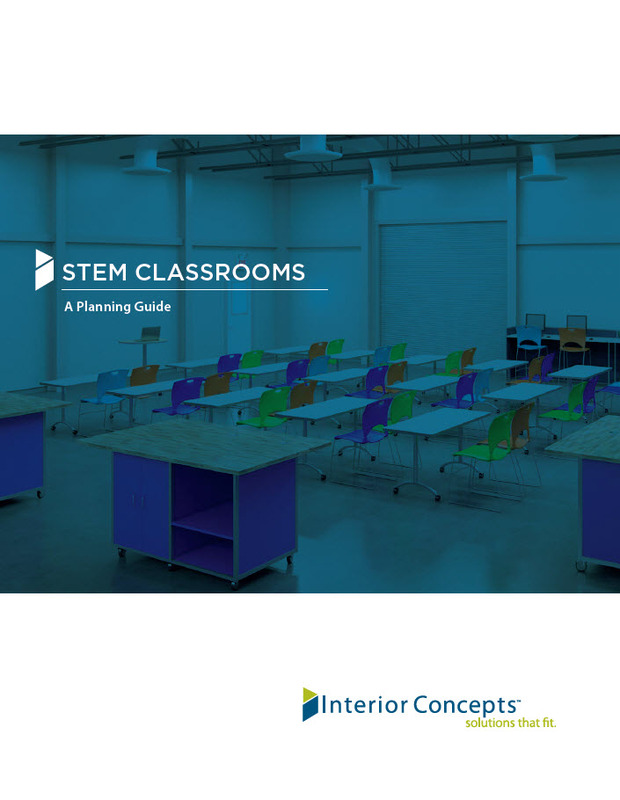 To get started download our free STEM Lab Planning Guide. Projections estimate the need for 8.65 million workers in STEM-related jobs in the US by 2018, and over 70% of jobs will require STEM skills. The average advertised starting salary for entry-level STEM jobs with a bachelor’s requirement was 26 percent higher than jobs in the non-STEM fields. By 2018, the bulk of STEM careers will be 71% computing, 16% engineering, 7% physical sciences, 4% life sciences, 2% mathematics. If you like this content, share it with your friends! © 2016 Interior Concepts Inc.